Whenever we think of Shah Rukh Khan, we think of his sea-facing Bandra home -Mannat and for all the SRK fans, that is the it destination to catch a glimpse of the superstar, especially on his birthday and special occasions because that is when the superstar decides to come out of his house and wave at his fans waiting outside Mannat. 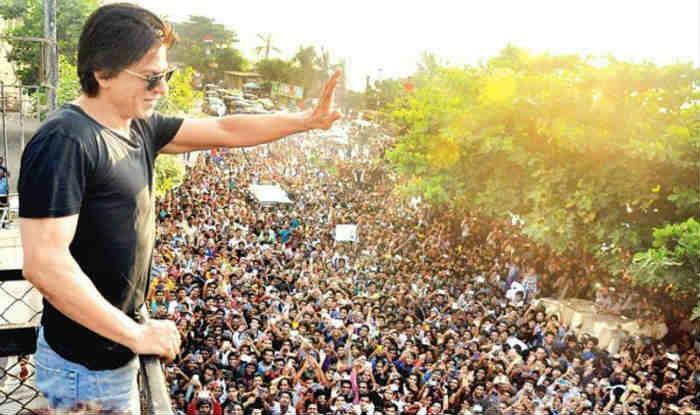 Be it Shah Rukh Khan’s birthday, Eid, Diwali or Janmashtami, King Khan inevitably comes out of the house, climbs up the balcony and greets all his fans. Over the years, this has come to become a ritual of sorts but did you ever think about the net worth of Mannat. I believe ownership makes one very small. I believe I am the luckiest man that I no longer own my Birthday also...it belongs to all these beautiful ppl who love me and my family so much. Thank you God. Well, according to reports, Mannat is currently worth Rs 200 crores (approximately) and for all those who don’t know, Shah Rukh was named India’s 13th highest-earning celebrity by Forbes this year, courtesy his Rs 56 crore earnings between October 1, 2017, and September 30, 2018. On the work front, SRK was last seen in Aanand L.Rai’s Zero starring Katrina Kaif and Anushka Sharma. As per the box office collection, the film didn’t perform well and next, SRK will be seen in Rakesh Sharma’s biopic, and Farhan Akhtar’s Don 3.